Hey friends and happy Tuesday! I hope that you are having a fantastic week so far! 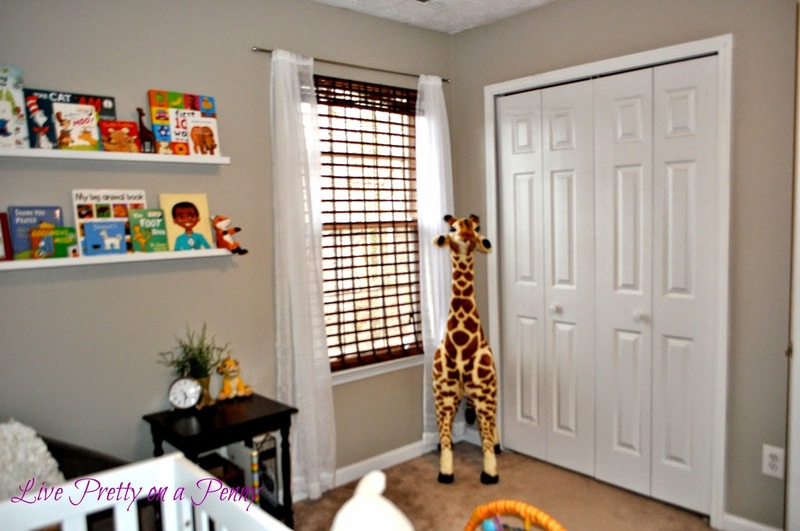 I am in full planning mode for the next project in our home, a big boy room update! Back in late 2013, we completed our sons nursery. Here we are 3 years later and I am still very much in love with this room, however its time for a change. He’s not a baby anymore (even though he will always be my baby), and I want to create something that he can grow into. We’ll be doing a “woodsy” themed room, with a sprinkle of adventure and imagination, so I want his space to feel like one big adventurous camping trip. He loves animals, and I want his room to have a mature, yet playful feel. I will be accessorizing with lots of color to match his personality. I’ve already been gathering items for his room, and wanted to give you a sneak peek of what I have. I haven’t done one single thing yet as far as the actual makeover, so I will bring you guys along for that journey. First things first, I’m sure you are looking at the watercolor pictures of Mater and Lightin’ Mcqueen from the movie Cars and Buzz Lightyear and Woody from Toy Story wondering how they fit? Well he loves those characters, so I wanted to incorporate them as well. If you aren’t around a lot of kids then you may not have even known who those characters were! lol. Anyway, I scored those images for a steal from the Pinners Conference and I absolutely love them, and he does too. 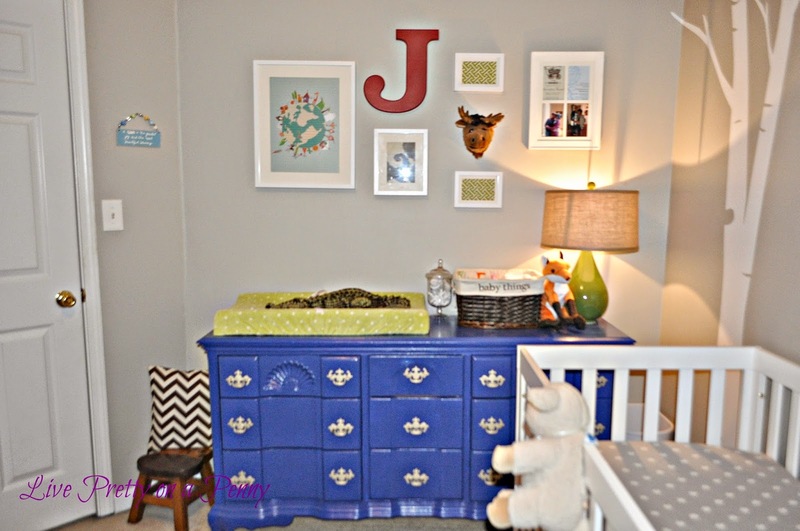 I want a pretty large gallery wall in his room, so I look forward to incorporating all kinds of stuff! As far as his bed, I’ve purchased this Kelsey Metal Bed from the Walmart Better Homes & Garden collection in a twin size. I’ve also gotten a twin mattress and box spring. 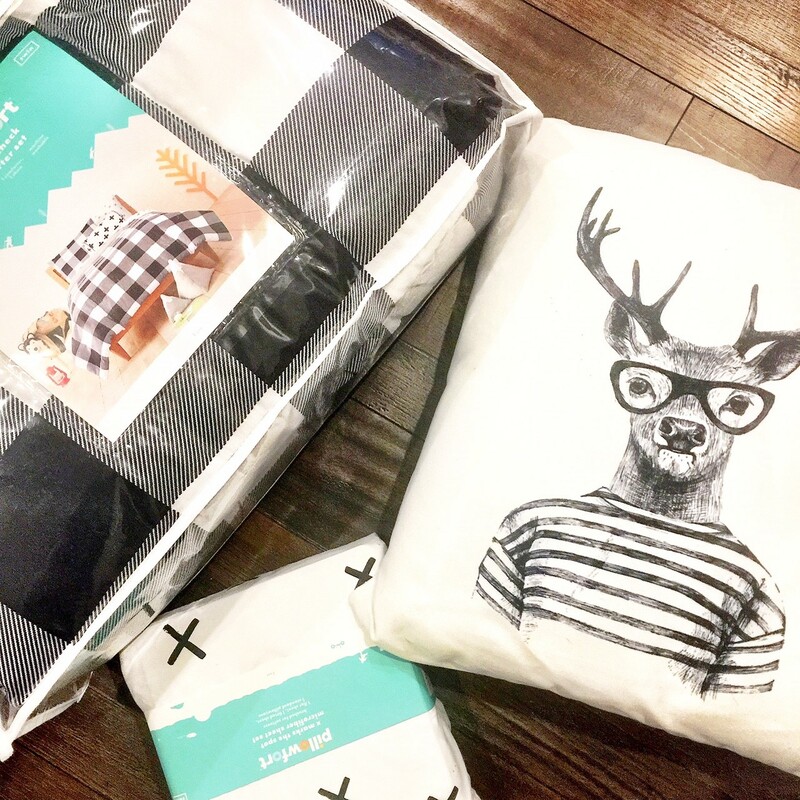 Here is one of the comforters, sheet sets, and a really cool deer pillow that I got while at a conference. The comforter and sheet sets are from Target’s Pillowfort collection. I’ve also partnered with Wallpops for the wallpaper. 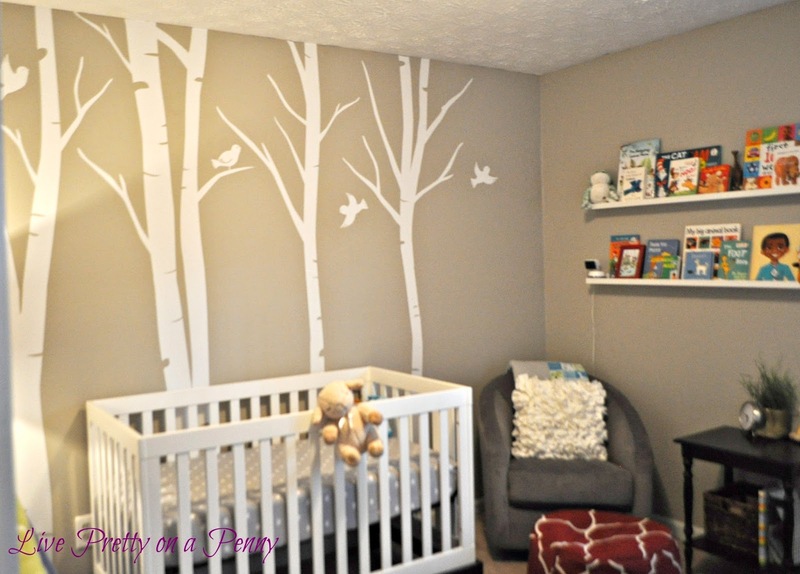 I’ll be doing one focal wall using this Gray Woods Peel and Stick Wallpaper. His blue dresser will definitely stick around as well. I am pretty sure I will be painting the walls, but I will keep you posted on that. So that’s pretty much it for now. He also has a bookshelf that I love, but I just have to figure out where to put it after we rearrange the room. So tell me, what do you think? I am anxious to get started in the next couple of weeks. Erin! It is gonna be amazing. 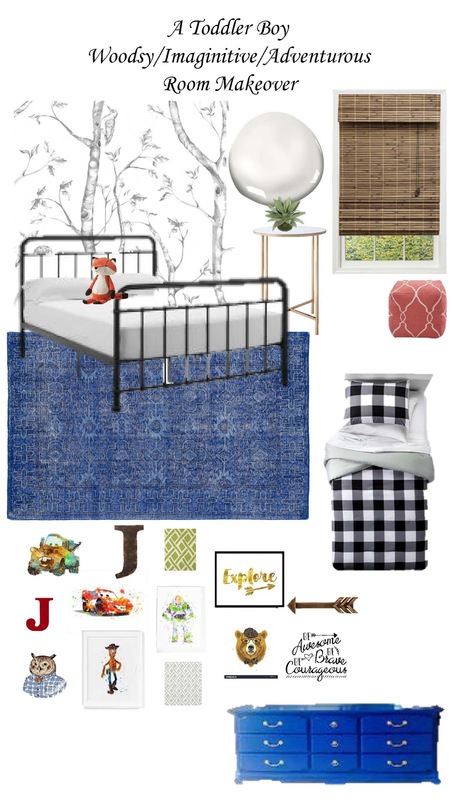 I adore the bedding and that cute pillow, but love how you are incorporating ALL of his favorite things. So many times parents decorate a room the way "they" would like it to be and forget it's the child's room. Kudos!! This is gonna be so amazing! I can't wait to see it all come together, little Julius i gonna love his new room!